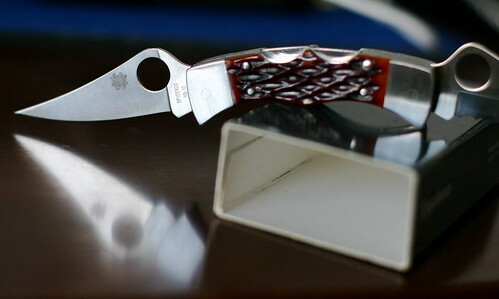 Last knife of 2007! A small one. Meta: I am testing Marsedit to make this post. Lets hope it works easily, then I can bolster the economy another $30. 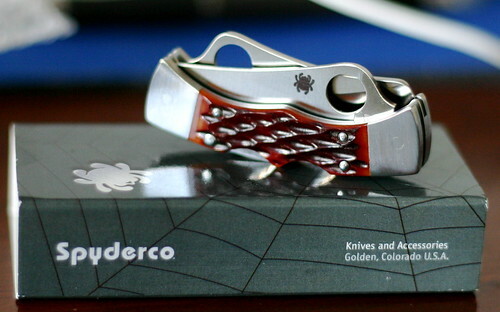 My last ebay impulse of 2007, the beautiful MicroDyad. 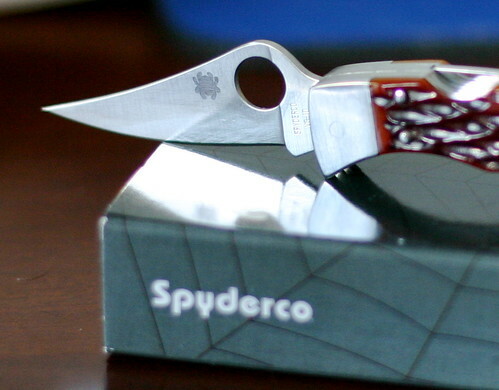 Kudos to Spydieguys.com for the deal. 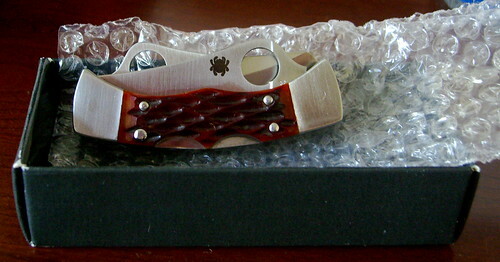 A stunning piece and the fit and finish remind me of the Moki Jess Horn. It’s that solid and good. 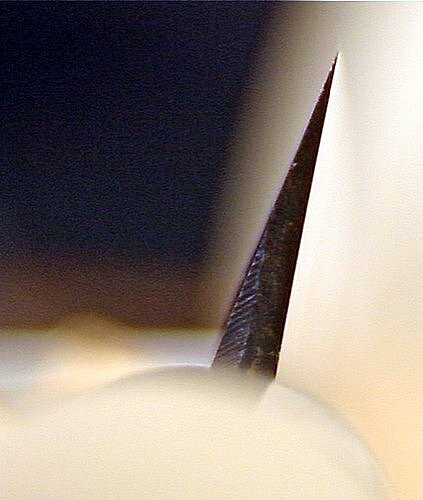 I used to think that I got my blades pretty sharp on the old 204 sharpmaker. This was before my latest trip to Japan where I was lucky enough to acquire this beauty. My first hocho. 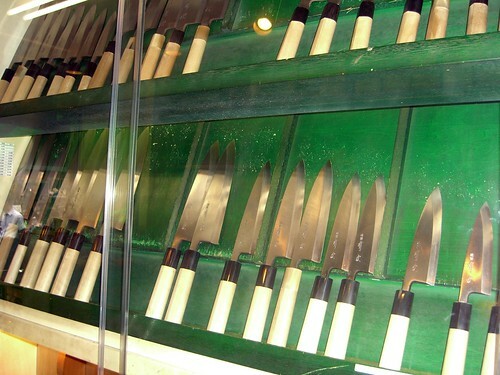 Near Tsukiji fish market, there is a knife shop. If you have a spare $200 or so burning a hole in your pocket and you want a hand made kitchen assistant, why not? 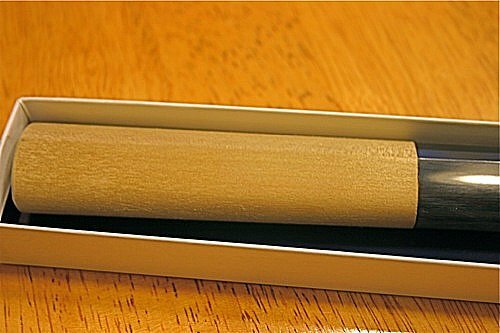 The box is nothing fancy, but details are essential: paper to wrap the carbon blade, a cardboard rest to prevent jostling. The handle is not symmetric, but the wood is soft and comfortable. 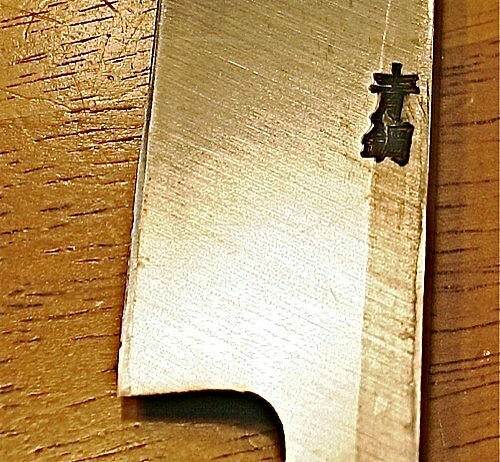 I suppose this is the blade smith, looks impressive. 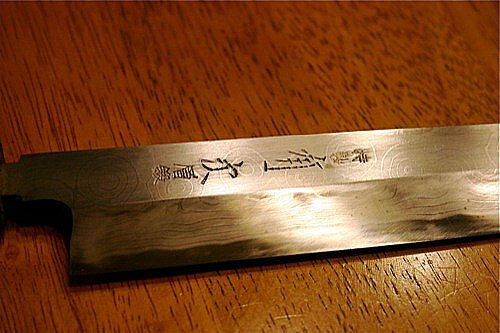 They warned me in the shop that sharpening on the water stones would fade some of the damascus effect. No worries, this is a user and not for show. The hocho is perfect for large birds, prime rib roasts, pismo, whole fish, you name it! I am honestly afraid to touch the edge of this beast. 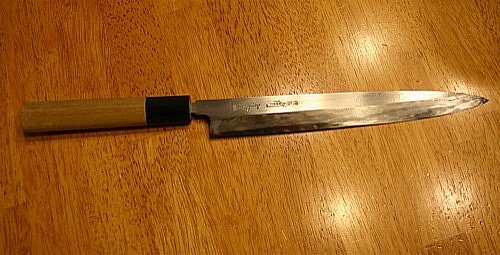 kitchen knives, originally uploaded by Rorschach. 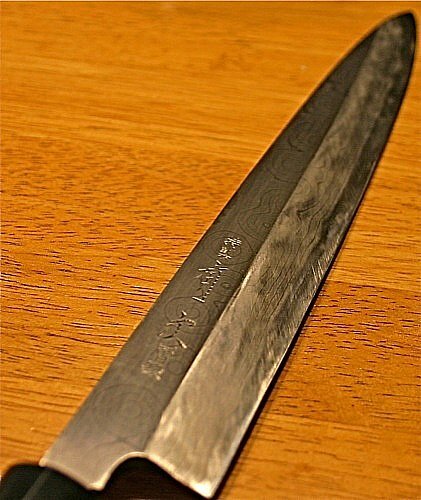 I finally bought my first handmade kitchen knife last time I was in Japan. There were so many to choose from. This is one of the many cases in the shop. More detailed review to come.